The death occurred on 27th September of Mr. William Hall, who was the great-great-grandson of Wallace Hall, one of Ross's great Victorian benefactors. 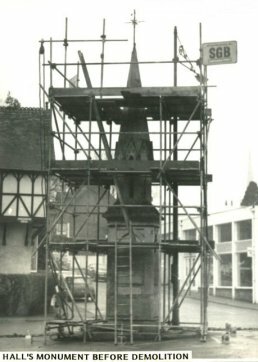 The monument to Wallace Hall, which had stood for 120 years at the junction of Station Street and Cantilupe Road was dismantled by the District Council in 1980. 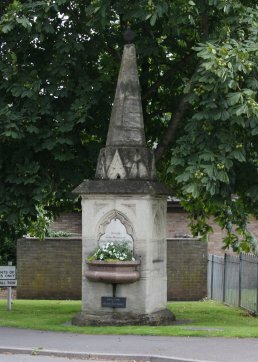 Fund-raising and campaigning by the Civic Society enabled the restoration and re-erection of the monument on a new site on the other side of the roundabout from its original spot. William Hall kindly agreed to unveil the monument at a ceremony which took place in pouring rain on 7th April 1992.